Detailed by the Wall Street Journal earlier today, the White House’s internal technology team is taking initial steps to expand the staff’s mobile communication platform to the Android operating system. According to a source familiar with the project, the team is currently testing both Samsung and LG smartphones. In addition, the White House Communications Agency is involved in the process. That’s the military team that’s in charge of the President’s communications. Speaking about the tests, a Defense Department spokesman said “We can confirm that the White House Communications Agency, consistent with the rest of the Department of Defense, is piloting and using a variety of mobile devices.” While these security tests could go on for many months according to the source, it’s highly possible that President Obama will be able to swap out his modified BlackBerry for an Android touchscreen smartphone before leaving office in 2017. 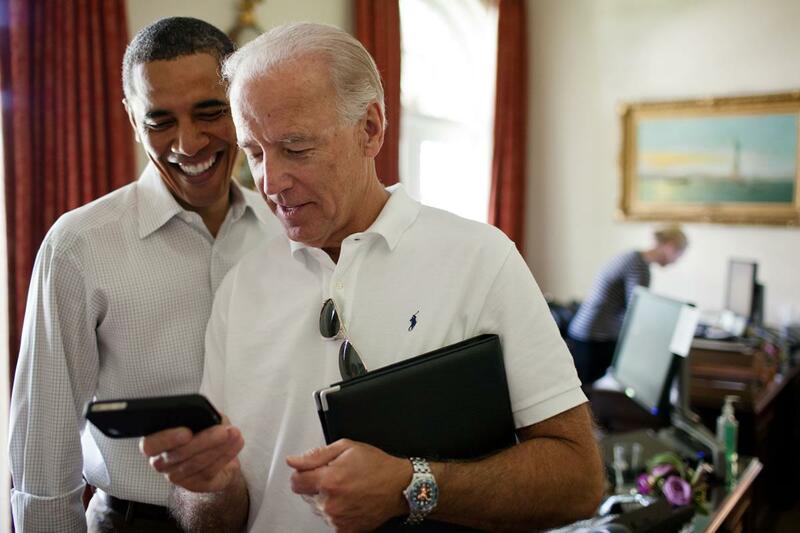 President Obama has been stuck with the BlackBerry for the last five years due to existing security measures, despite his affinity for Apple products like the iPad. Sources within the White House and the two Android smartphone manufacturers haven’t specified which models are currently undergoing testing. Potential candidates could include the Samsung S4 or LG Nexus 5. It’s likely that the security team would test an established model and specific version of Android in order to add additional security modifications to the software. This shift by the White House is potentially a damaging blow to BlackBerry, despite the US Department of Defense recently confirming that 80,000 BlackBerry devices are currently being used within the Pentagon. Both Apple and Samsung have invested a good bit of money into wooing the government’s mobile contracts over the last five years, basically attempting to transition employees away from BlackBerry devices. According to a report published by IDC, BlackBerry only holds a 0.60 percent share of the smartphone market within North America.